Take a 3D trip under the ocean and create some amazing ocean animals. It's an adventure that's 3 Deep! 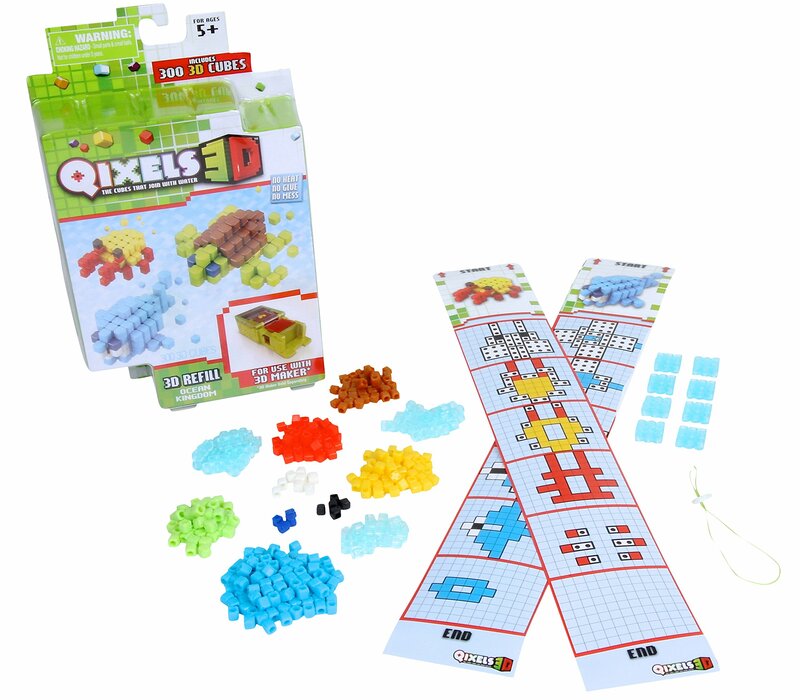 Style:Ocean Kingdom Qixels 3D cubes gives you the power to shape and createQixels in 3D! Build them up and build them out and start building a 3D QixelWorld! Build up your design and brush with water and they magically sticktogether. When they dry, they stay and you’re ready to play! Check out theOcean Kingdom Refill Pack- Take a 3D trip under the ocean and create someamazing ocean animals. It's an adventure that's 3 Deep! 3D Maker is soldseparately and is required to complete your design.